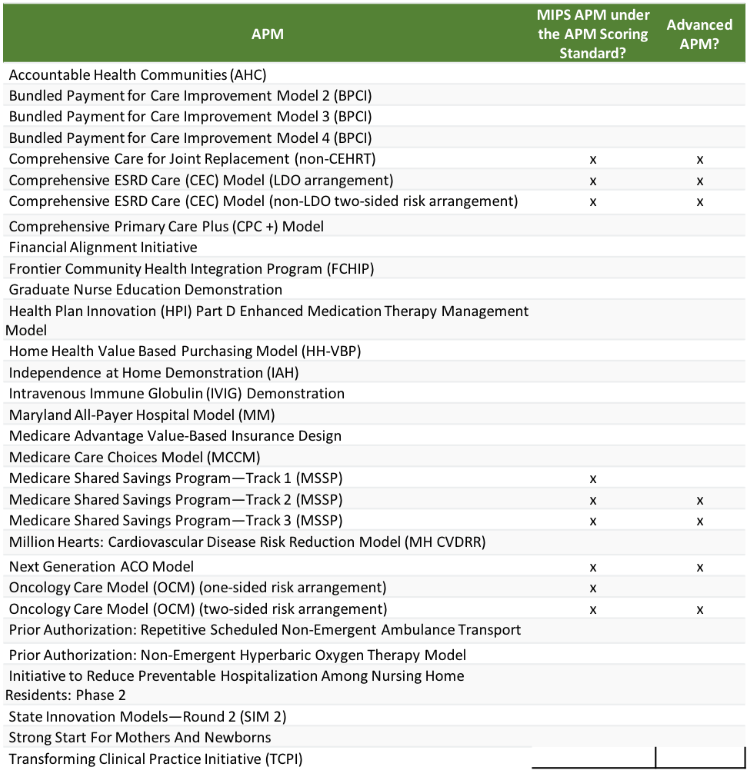 The Center for Medicare and Medicaid Services (CMS) has published details of which Alternate Payment Models (APM) are advanced and which qualify for the MIPS APM Scoring Standard. Let's take a look at the requirements and benefits and then tackle the impact to strategy. Here is a quick rundown of the requirements and benefits associated with each model. here are a small number of advance APMs and MIPS APMs for 2017. 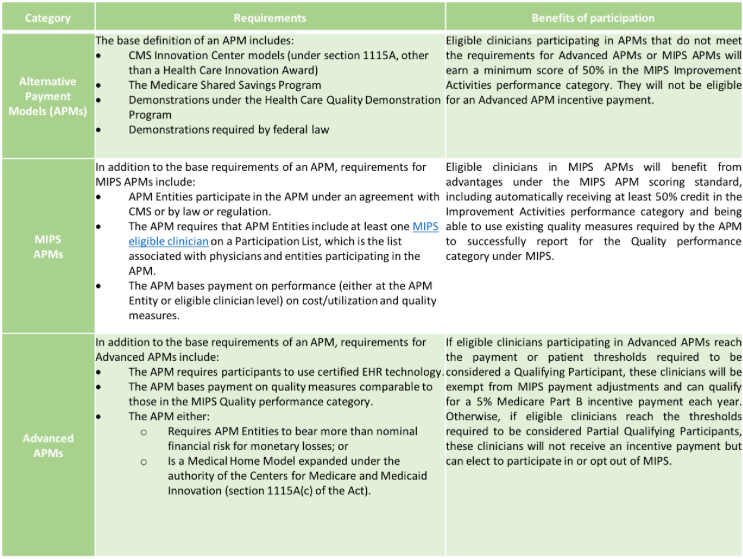 CMS has committed to expanding the opportunities for providers to participate in Advanced APMs. Methods for expansion include creating additional models that meet the definition of an Advanced APM and reopening existing models to additional participants. Now let's think about strategy and aligning your organization for success. If you are participating in an APM... determine if APM participation is in the best interest of your patients and practice. Specialists will find that the core quality measure set defined by CMS doesn't allow for their direct contribution to quality measures or represent the care they provide. Clinicians join and disconnect from APMs for a variety of reasons - participation is strictly voluntary. Act now to regain control in 2018. If you are leading an APM... step back and consider your members. Is there a transparent plan for achieving success? Do individual clinicians know what actions to take to contribute to success? Have you identified enough resources to complete the reporting for 2017? 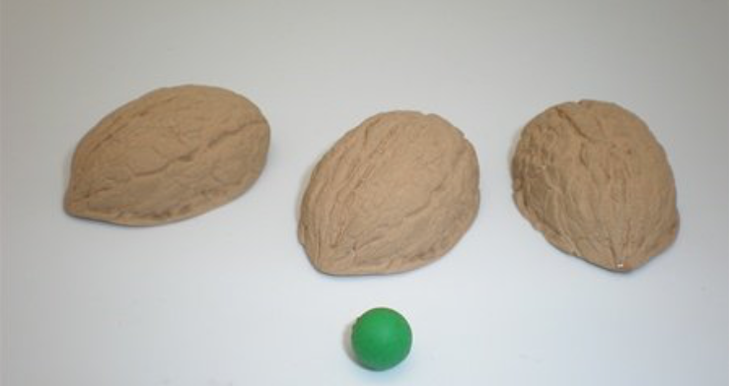 What does Plan B look like? At Whittle Advisors, we have mastered transitions - protected more than $3B in patient revenue, implemented new technologies and workflows, and achieved compliance across the healthcare ecosystem.